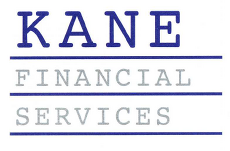 Henderson Food Machinery recommends Kane Financial Services who are an independent asset finance broker with over 35 years’ experience in providing tailor-made financial solutions based in Comber, Newtownards. As established, reputable Finance Brokers, they provide a comprehensive range of asset funding options. Their services allow you to acquire the equipment necessary for your business to function. Their aim is to provide you with the funding product that best suits your requirements to acquire the assets you need.